Wireless connections are easy to set up these days, and they have many advantages over cellphone data plans. A local Wi-Fi hotspot can give you a faster connection than the cell tower network, it costs much less per month to stream music and videos every day, and you can set up one connection that everyone in the building can share. You can set up a wireless router for both home and business internet purposes, and a lot of companies in that second category are finding out that a wireless connection can be a great help. There are plenty of industries that can make great use of a Wi-Fi hotspot, including all of the ones on this list. Many fast-food restaurants don’t offer any Wi-Fi connection because they want customers to come and go as quickly as they can, but many local restaurants and cafes like to have customers stick around for a while, order an extra drink or two, and keep the seats filled. If that’s the case for you, then you should invest in a wireless router and create a public Wi-Fi connection. This connection will also come in handy for processing cards and smartphone wallet payments. If you work in a high-tech industry, having both wired and wireless connections can really come in handy. It helps to have a powerful computer with a large monitor to perform many programming and editing jobs, but it’s also handy to have a smaller tablet or smartphone you can use to send messages to others in the office or let employees take a look at what coworkers are developing without having to go back to their computer stations. Employees can also make use of the Wi-Fi connection when they’re on a break. Thanks to the Internet of Things, a business internet connection can come in handy even when your company has few employees and a handful of desktop computers. Cargo containers can come with built-in chips that let workers know where they are and what they contain, or you could use an augmented reality app to provide clear labels and directions for where workers can find logged inventory. 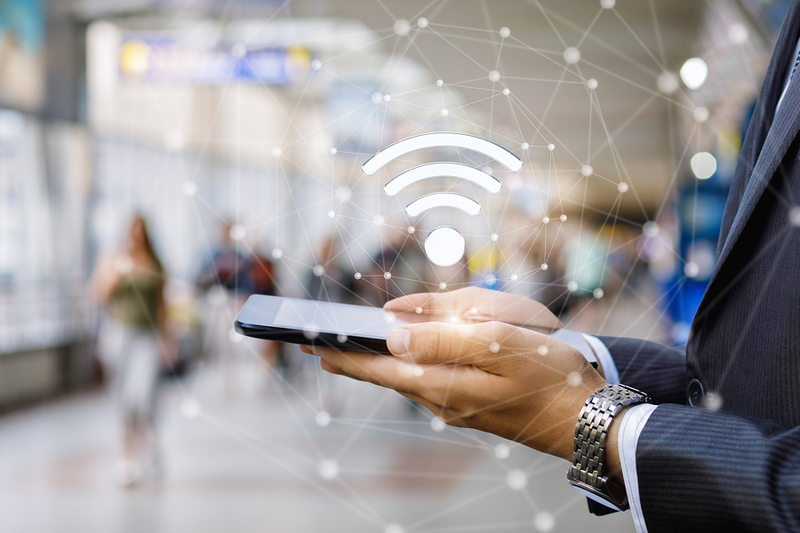 Wireless connections have all sorts of uses, and they assist communication through factories and offices alike. If your business internet connection is still a low-speed cable subscription, consider upgrading it to a fast fiber line and discover the speed that your employees and customers alike will appreciate.